You are here: Home / Bathrooms / Have your Heart set on a New Look for your Kitchen or Bath for Holiday Guests? Have your Heart set on a New Look for your Kitchen or Bath for Holiday Guests? Updating your bathroom and/or kitchen for the Holidays is a very costly project. Miracle Method knows that homeowners are looking for ways to update their homes without breaking the bank. 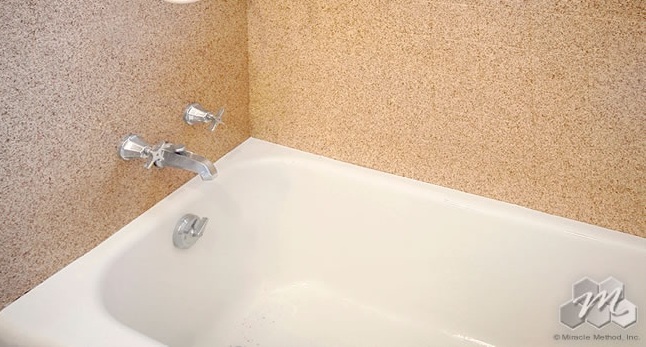 The benefit of having Miracle Method refinish your bathtub or countertop is that the job can be done in two days or less at up to 75% less than the cost of removal and replacement! What’s the secret to the longest-lasting, refinished surfaces? It’s our proprietary MM4 bonding agent. Most other surface refinishers use a toxic acid etch. Our MM4 bonding agent creates a molecular adhesion between the original surface and new coatings – assuring long lasting durability. We then bond our acrylic coating and buff and polish it to a beautiful shine. 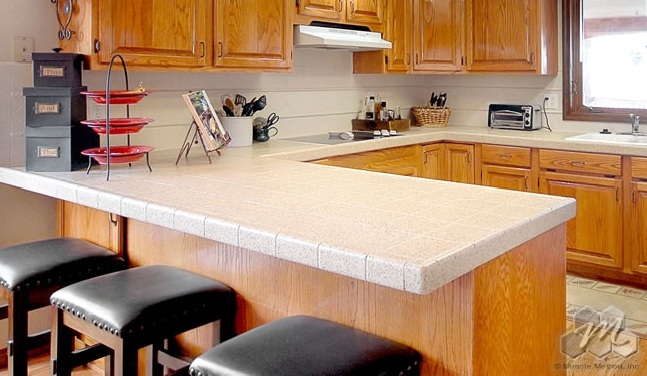 We can refinish old kitchen countertops to resemble granite with our Natural Accents® stone-look finish. 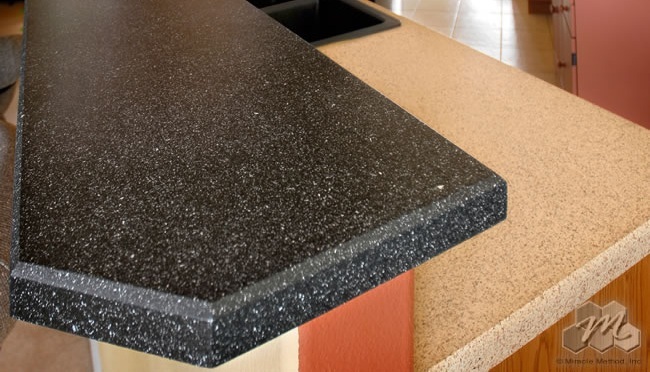 This creates a beautiful countertop that has the sleek, expensive, modern look of granite for much less. 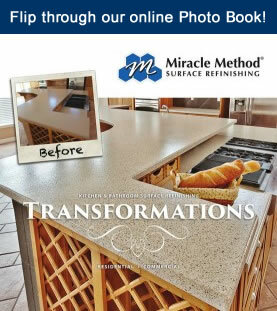 Miracle Method’s countertop refinishing can be done on laminate or tile by using a Natural Accents® stone-look finish. You can enjoy a wide array of colors to choose from and we can add a bullnose edge to a dated, squared laminate countertop edge; the refinished countertop will have an undated look that will enhance the entire kitchen and at a fraction of the cost of removal and replacement! With their unique technology and our professional certified technicians, they will obtain your desired look in the bathroom and kitchen, back it up with a five year warranty, and save you time and money. Take a look at before and after photos to see for yourself. To find the nearest Miracle Method, call 855-212-7337 or click here and enter your zip code now.